Summertime is coming, which means it is time to begin those winter projects, so you will be ready for Christmas! This adorable collection by Leanne Anderson of The Whole Country Caboodle has a fabric storybook, lots of characters and a wonderful palette. All ready for you to start preparing for the holiday season. This collection shipped into your favorite quilt shop in May, so if you don't win this bundle, go get your own from your favorite place! So cute! These would be perfect to make something festive for my sister. I love Leanne Anderson's designs - this is adorable! Beautiful Christmas prints. These would look great in a Christmas theme throw. Definitely need to get a jump start on Christmas projects this year. No time like the present, and these are terrific Christmas designs!!! Always love Leanne's designs. Perfect to get started on a Christmas project. Leanne's designs are so sweet! thank you for the lovely giveaway! I love that Leanne Anderson creates a collection each year for Christmas that is about the true meaning of that day. And she and her daughter do it so well. I would love to win this, but if I don't it's definitely on my shopping list. This is the perfect time of year to start thinking about and working on winter projects ~ at least here in The South - it's already so hot that the blacktop is melting - and anything reminiscent of cool weather is a great relief! This fabric is also adorable! So nice to think of Christmas sewing .... especially with the heat wave we have been having already! Would love to work with the colours and designs of this grouping and stitch up a special Christmas quilt project. I love the book and all the prints. I would love to make a sweet quilt for my new granddaughter. How nice it would be to make the book and a quilt to cuddle up with to read with the grandkids. Her designs are very sweet. Wow! What a sweet giveaway! Just what we need to get us ready for next Christmas! Such cute fabric. Just perfect for Christmas. Such cute fabric. I really love the book panel. I'd love to get a head start on my holiday projects with this collection! Once I get caught up with the spring gardening and yard work it will be the perfect time to start on Christmas projects and doing so with this fun fabric would be great! These fabrics are so cute. Thank you for the chance to win them. What a cute collection. I like the colors, and the theme. I love this fabric, adorable. Love the fabrics! Thanks for a chance to win. Oh my what a gorgeous and fun fabric line. This would be super cute to work with and have on display during the Christmas season. All of the fabrics would work great in any Christmas project, big or small. This is exactly what I need to help my grandchildren know the reason for the season! They need warm lap quilts and hopefully the eldest will read the book to the youngest. If not I know their Daddy will. Did I say I love this fabric, I do! What a great collection! I love all of Leanne Anderson's designs! 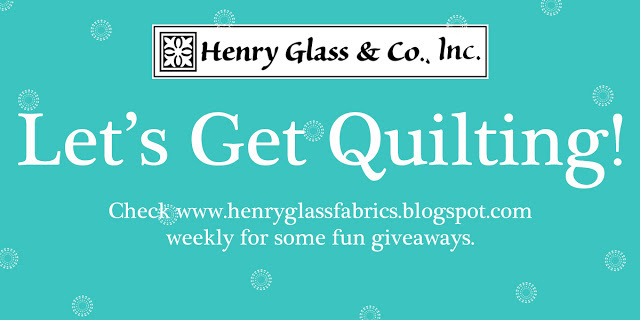 I don't have a Christmas quilt yet.. would love to win these adorable fabrics to create one! Such a sweet Christmas quilted panel project. It would be so much fun to stitch up. The supporting fabrics are lovely. I love the color palette of these fabrics and I'm always a sucker for fabric books. Wouldn't it be adorable to have a matching little quilt to cuddle with while reading the book to a little one. I can see a Christmas quilt in my near future! Can't have too many Christmas quilts. I don't really want to think Christmas yet....but it will be here too soon. This is such a beautiful line of fabric...love it! I really like the colors in this line. so very festive! what a delightful collection...thank you henry glass! These are very cute Christmas fabrics. They can make some really festive Christmas quilted decorations. Wonderful collection - beautiful fabric full of character. I love the storybook scenes! Wonderful fabric with so many possibilities. Thank you! I love Leanne’s designs....I am a country girl and I love Christmas, so these fabrics are perfect in my eyes! Thank you for the giveaway! Would make for a wonderful gift for our grandsons! So cute! I'm ready for Christmas sewing. Really like your New Christmas Fabric.